On 24th September we turned five! 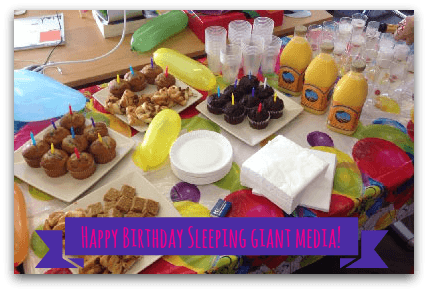 Sleeping Giant Media has been in existence since 2008 but we became a limited company in September 2009. So perhaps we’re only four. Either way it’s our birthday and it’s time to celebrate! Last Tuesday morning we were greeted by this epic breakfast feast with pastries, muffins and champagne. What a way to start the day! Back in 2008, Luke was studying for a CIM qualification in Digital Marketing when he identified a gap in the PPC agency market. Together with Anthony, they decided to create a business that would provide clients with a superior level of PPC management and customer service and Sleeping Giant Media was born. Since then, we have developed cutting-edge strategies and have successfully integrated all search channels into our offering, including PPC, SEO and social. To begin with, Luke and Anthony ran Sleeping Giant from Luke’s dining room whilst still in full time employment. In the last four years since Sleeping Giant became a limited company, it has grown from two people working part-time to a staff of 21. In the last year alone, our turnover and number of staff has doubled. It has certainly been a busy four years. 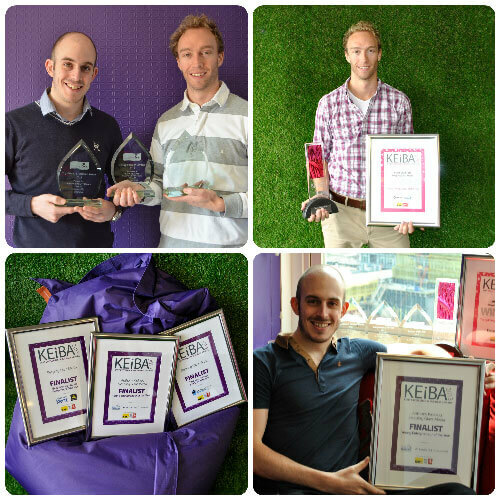 In 2010, we were finalists for Best Start Up Business at the Kent Invicta Chamber Business Awards 2010 and the next year Luke won KEiBA Young Entrepreneur of the Year 2011, which was a great accolade for him and is testament to all his hard work. In 2012, Luke was nominated to carry the Olympic torch through his hometown of Hythe. This year, Luke was shortlisted for Entrepreneur of the Year at the 2013 Kent Invicta Chamber Business Awards and the company were shortlisted for a further two awards: Excellence in Customer Service and Best Business. Anthony was a finalist at KEiBA 2013 for Young Entrepreneur of the Year and SGM were finalists in two other categories, Customer Service and Commitment and Best Science/Technology Business. 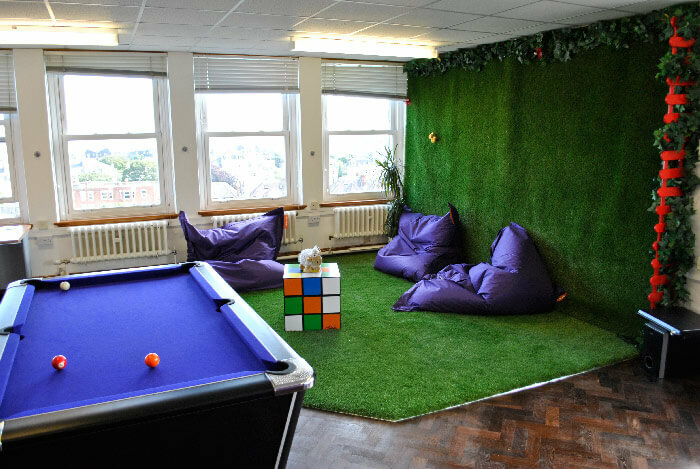 This year has also been a busy one for Sleeping Giant for another reason, we moved into our brand new offices because the old one was getting a little bit cosy. We moved into the top floor of the Civic Centre at the beginning of April, after many months of hard slog (mostly by Luke and Anthony) transforming the space into the bright and inspiring space that it is now. So here’s to the last five years! We’re all looking forward to the next five and the adventures that they will bring.